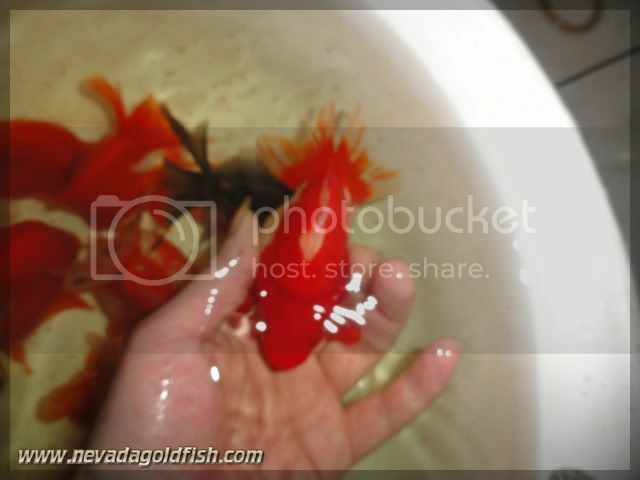 Chinese goldfish is famous in its amazing and bright coloration. Some people was envy with Chinese goldfish and spread an unresponsibilty rumour that Chinese goldfish coloration's is made by some medicines which injected into goldfish's body. People who did this is not a responsible person. 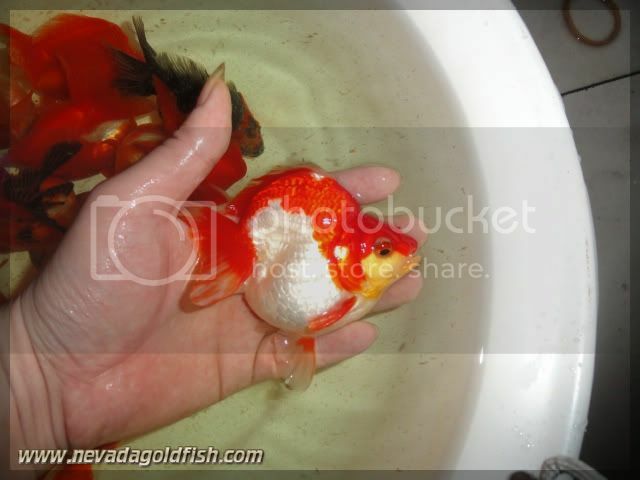 Today I challenge you to prove that Chinese goldfish that imported by Nevada Goldfish has pure and nature colour itself which won't be mutated or degradated. RYU043 has pure and natural red-white coloration. The colour is so bright and amazing, and if you adopt and keep RYU043, the colour will never change or mutate!